You’re a bit bored showing clients how to set up a landing page, website, or other masculine structure. You know that setting these up are an important piece of the business, but you know you've got so much more to offer. You'd much rather be spending more time working in your zone of genius, helping your clients transform their lives, minds, and businesses so they can take everything to the next level and really go after the life of the dreams. I mean, that's the whole reason you went into business, right? Well, I have the answer for you! A whole SUITE of training videos on ALL the most popular (and easy) platforms. Gift these to your client so she can look at them, pause and play while she builds out her landing page, website, email funnel or more. This leaves you to give real transformation in sessions and not spend the hour talking tech. Sound good? Yep - thought so. When I found Kim had a whole suite of video tutorials, it was a no brainer - for me AND my clients. I want my clients to have big results, the ones that change their lives. And our time together is precious. My clients can watch the tutorials and implement at their own pace leaving our time together to tweak and add in the magic sauce for full growth effect. For me I feel assured that my clients are getting the latest training leaving me to wear the CEO hat of my company. The best part is that the packages are super affordable and make a great gift for each client. Kim has a fantastic way of simplifying the technical elements of starting an online business into easily digested trainings. The Catapult library has been an exciting bonus for the ladies in my group coaching programs. Many of my clients are brand new to online business, so learning about 'tech' can feel overwhelming at the start. Thanks Kim for your awesome support and expertise! A complete set of tutorials for every technical system that you need to get your service-based online business up and running. It’s time to get yourself out there to share your gifts with the world, stress-free, without investing thousands, quickly, and efficiently. The Coach's Catapult is designed to be your one-stop-shop on how to set up all the different tech systems quickly and without having to scour the internet for hours to find the answer to your questions. You’re going behind the scenes with me as I show you everything that you need to know in a ton of different tools. Kim has a gift for breaking down systems, tools, and technology into simple language. Thanks to Kim's tutorials, I was able to build a beautiful website and understand my CRM so I could get my business off the ground. Kim's training saved my sanity and hours of heartache. 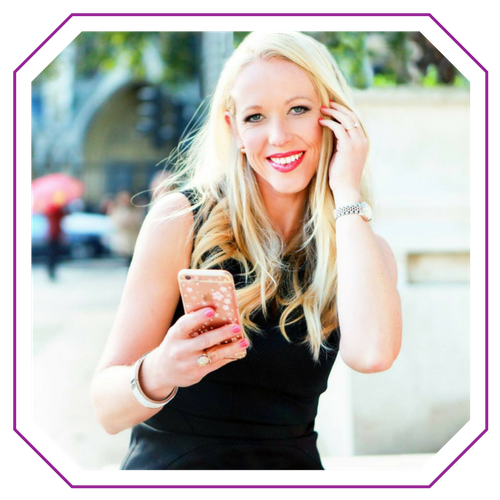 If you want to make a splash in the online space, Kim Heintz is your secret weapon! TO GROW YOUR ONLINE EMPIRE, YOU NEED THE RIGHT TECH SYSTEMS IN PLACE THAT WORK FOR YOU, NOT AGAINST, AND SAVE YOU TIME SO THAT YOU CAN FOCUS ON THE AREAS OF YOUR BUSINESS THAT LIGHT YOU UP. And being able to do this without having to SPEND HOURS searching online for how to do this or pay THOUSANDS for someone else to set them up for you is pretty darn sweet! Discover how to research audiences to target and use the Power Editor successfully so that you can set up your very own Facebook ad without having to hire an expert. Your Facebook ad has to tie into a landing page and here we’ll walk you through how to set up a landing page in the top tools that coaches are using to capture leads. Once your leads subscribe through your landing page, the email address has to go somewhere. I provide a guide for choosing the CRM that will work best for your needs and then show you how to use the tool to collect email addresses and send automated emails. Your website is your online home and it’s important to have so that people can find you and see what services you have to offer. Squarespace is an amazing tool that lets you truly set it up yourself - and quickly! Not only do I have nearly 2.5 hours of tutorials on setting up your Squarespace site with the tech but I also have an ebook that helps you plan out everything you need for your first website. For productivity and planning, I’ve got you covered with a list of additional tools you should consider implementing to uplevel the tech in your business even more and tutorials on how to set some of these up. The above includes nearly 10 hours of video training! As soon as you sign up, you'll get immediate access to the membership site and can begin learning how to set up the different tech systems needed to get your business up and running. Kim Heinz does a FANTASTIC job breaking down complicated systems and making them easy to understand and implement. I recommend her tutorials to all my clients. Kim's videos help entrepreneurs overcome technophobia and conquer the tech side of their business, so they can focus on what they are most passionate about. She's a life saver!!!! Creating a sales funnel for the first time seemed like a pretty daunting task, but Kim’s videos were really simple to follow, and showed clearly how all the different tools work together. It would have taken me hours to research all the different options and work out how to set them up by myself, so her trainings have saved me valuable time and money, which definitely counts when you’re a start up! I'm here to help de-stress the tech in your life! I’ve had a passion for technology since I was a little girl. Because my dad was one of the technology experts in the school district where he taught, we always had the latest and greatest tech tools at our house. I taught myself how to use them by trial and error and then was able to turn around and teach others how to use them effectively. As I moved into adulthood, I always found myself working with tech, first as a high school teacher, and eventually in several tech companies teaching clients and internal employees how to use the tech to make their lives easier. Because I loved teaching the tech stuff so much, I also went and got a master’s degree in it! After a decade in the corporate space, I felt drawn to extend my passion beyond the corporate walls. So I decided to branch off on my own! I now work with coaches all over the world to implement the key technical systems that make their businesses thrive so that they can focus on the areas of their business that light them up - coaching.